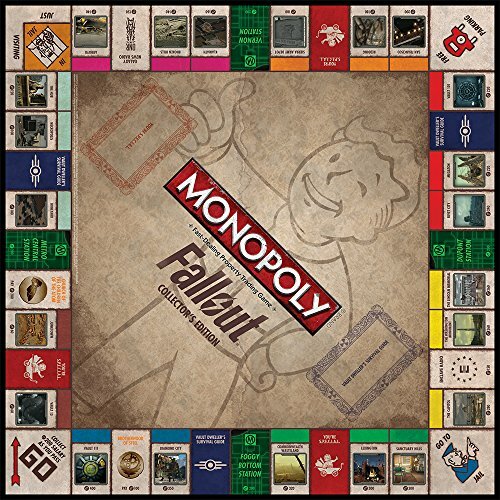 Fallout Collector's Edition Monopoly - Moar Stuff - You don't need it but you know you want it. 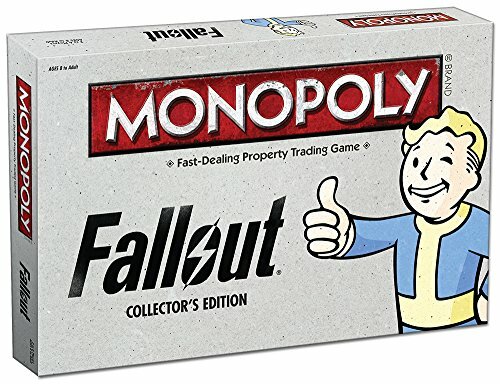 The best way for you and your fellow Vault Dwellers to avoid boredom while waiting out the apocalypse is to play Fallout Collector’s Edition Monopoly Set. This version of Monopoly plays exactly the same as the regular version. However, instead of buying and houses and hotels, you’ll purchase iconic properties from the video games. Then you’ll fortify them with Vault-Tec approved Shacks (houses) and Vaults (hotels). It also includes collectible Wasteland-inspired, distressed finish tokens and Fallout “caps” inspired money. Every fan of the Fallout series will enjoy this as a gift. Oh, and if you actually have a bomb shelter, you HAVE to get this and put it in your shelter. It would be inexcusable, not to. I mean you have to have something to do while waiting for the Deathclaws to stop scratching at the door, right? 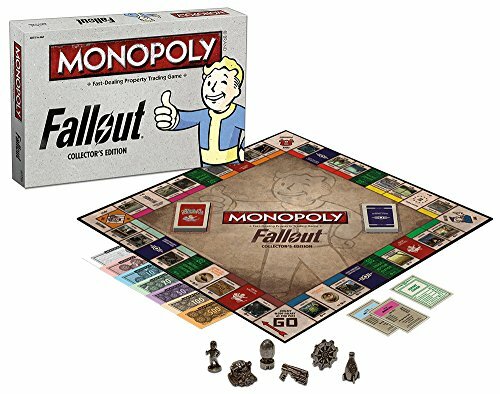 If monopoly isn’t your thing, you might want to give Fallout Checkers a shot for some fun while you wait for the apocalypse to pass. Dimensions: 12.5 x 9 x 4.5 inches. Plays just like regular Monopoly but, with items and places from the video game series. It’s a board game with a lot of little pieces for you to step on.